• Forged multi-pad monobloc caliper • Direct Drive V2 or V3 Molybdenum alloy discs • Z-Rated® Carbon Metallic® pads • Custom-engineered for road and track use • Genuine race technology • Custom colours • Stainless steel braided hoses • Caliper mounting brackets and fittings • 2 x 500ml brake fluid bottles. 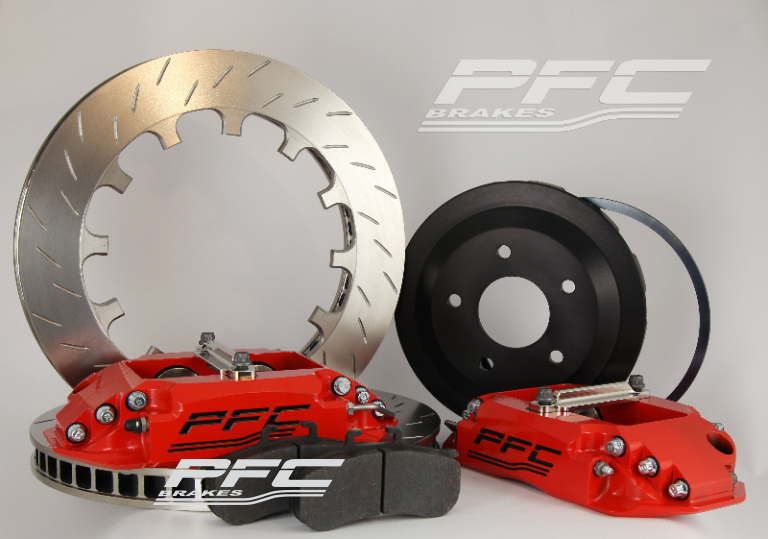 PFC kits offer the best braking performance available, along with great looks! Click for the latest PFC brake kit application list (pages 6 to 8) or here for a summary of popular kits.